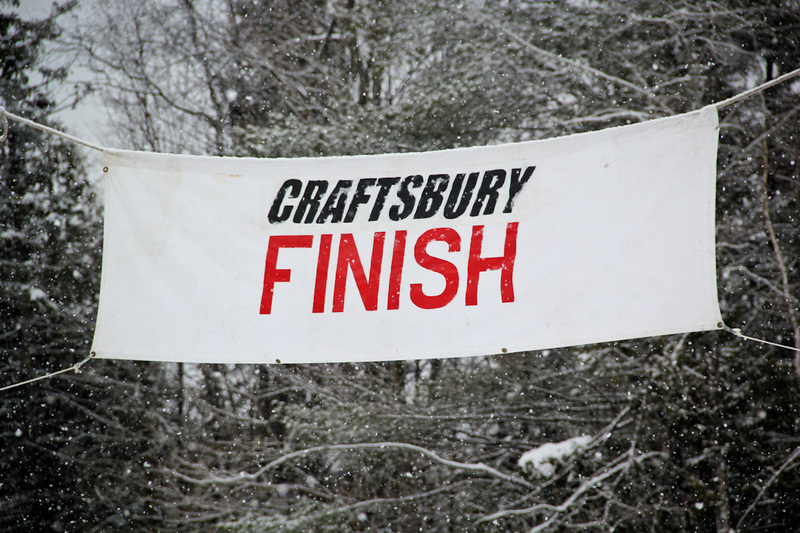 Craftsbury is one of my favorite places to ski race. 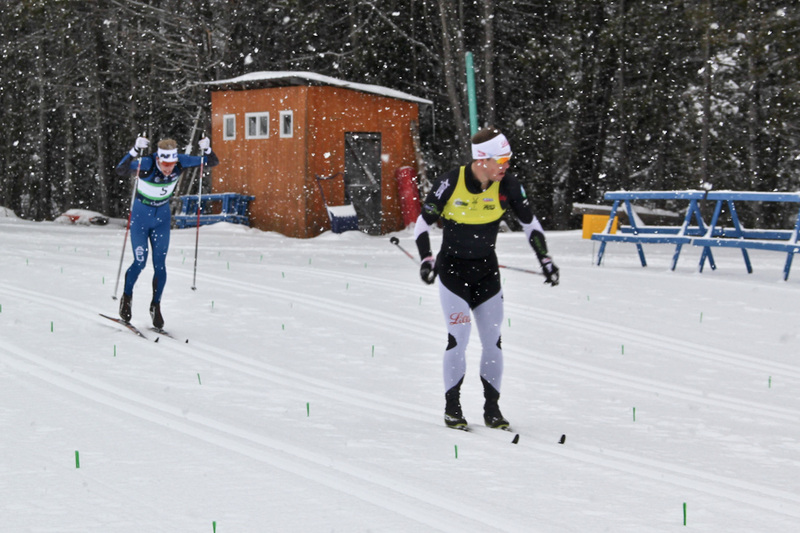 With consistent snow, great race courses, and awesome volunteers, its hard not to enjoy competing in Craftsbury. (I’ve also had some of my best results here, so that helps too!) We just finished a big block of five Supertour races in nine days, and in spite of persistently cold weather, the races all went off smoothly. I’ve had a few health issues through the first half of the season, so it was great to finally be able to race healthy and feel like myself. The first race of the series was a 30k classic mass start. The field was small but fairly competitive. Start of the 30k Supertour mass start. At the start, I set a pretty high pace and took the early lead. This was part of the plan to simulate the high pace starts in the World Cup. At about the 1k mark, Reese took over the lead and kept the pace high until the 3k mark, at which point the lead group had already been reduced to only about 10 athletes. I was starting to feel the effects of the fast start, but before I started to suffer too much, the pace settled and and I was able to jump into the pack. The fresh falling snow slowed the pace and made for a tactical race. The group that had formed in the first 3k held together for the next 20 kilometers, and other than a few surges in the pace, I don’t remember too much about the race until the start of the third and final lap. Coming through the lap, Kris upped the pace through the stadium and started to string out the pack. At first everyone in a group held on, but eventually the consistent pressure started to take its toll. At 29k in, on the biggest hill of the course, Kris surged, and it took everything I had to stay close. With the move, he slowly opened a 10m gap that I couldn’t seem to close. Coming into the finish, Kris eased up just before the line and I closed quickly in the last few meters. The official time gap at the line was 0.1 second. Coming into the finish lanes at the end of the 30k Classic. It was great to finish 2nd and get back on the Supertour podium. It was my first time back on the podium in two years, and my best ever Supertour distance result. The next races seemed to go by in a blur. We raced a classic sprint, a skate sprint, and skate 10k. I finished 6th, 3rd, and 10th respectively. Lex racing to a podium finish in the skate 10k individual start. The races overlapped with Dartmouth Carnival, and I got to see my sister who was racing and helping volunteer in the finish pen. Here she is with Tyler after the skate 10k. The podium for the skate sprint, where I finished 3rd. 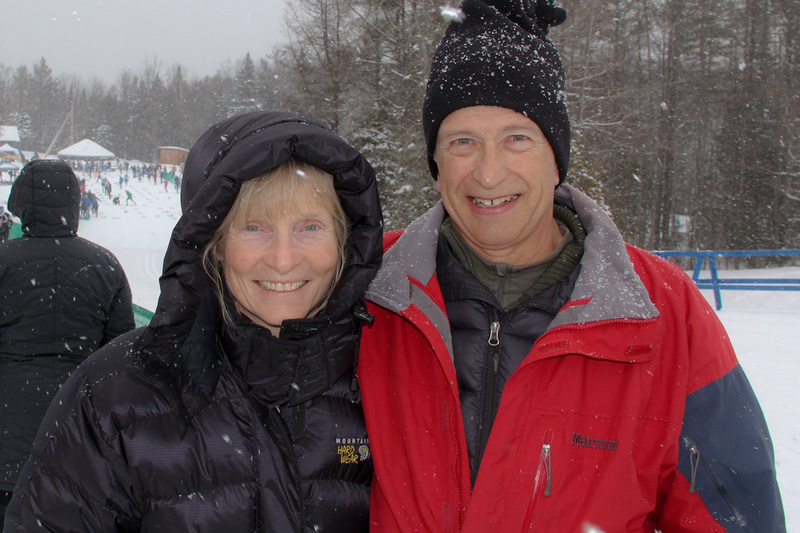 My parents made the trek out to the East to watch the races, and to see my sister race the Craftsbury Marathon. It was great to have them out there. Thanks Mom and Dad! My parents at the races! 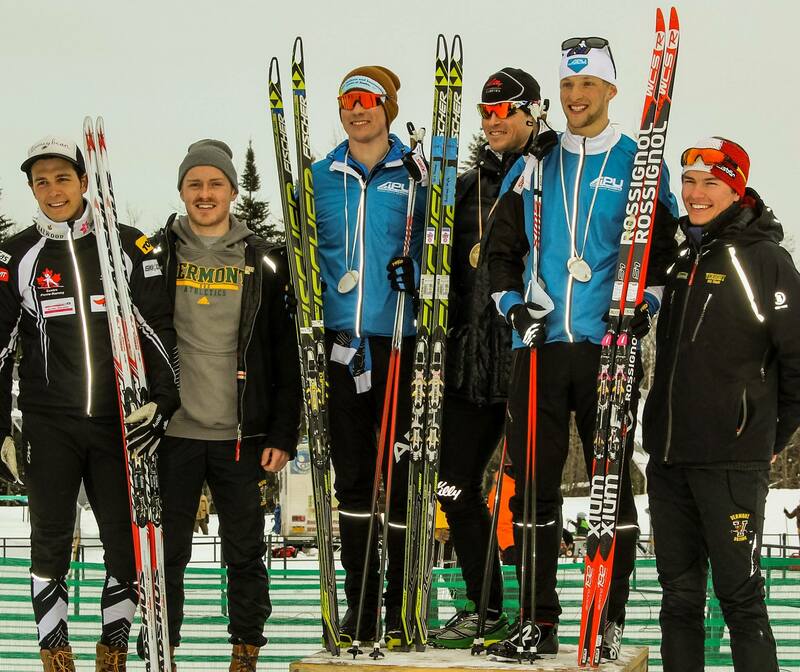 The last race of the week was a Classic 15k mass start. I was really looking forward a rematch with Kris after the 30k at the beginning of the week and was hoping to stay close to him and then surge on the last hill, where he mounted his attack in the 30k. Unfortunately, it was not to be. After warmup, I went back to the wax cabin and asked for an extra layer of kick, thinking that kick would be the determining factor on the last climb. 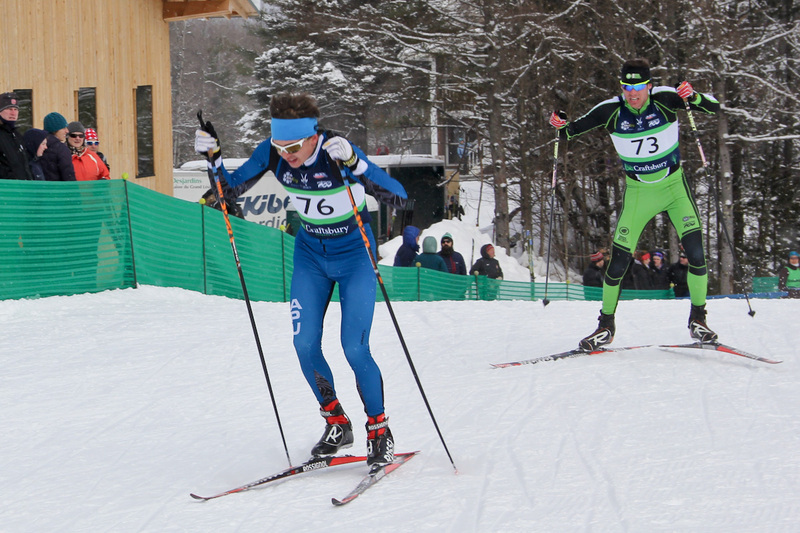 That kick drastically slowed down my skis, and I had to battle the whole race just to stay with the lead group. Kris attacked on the big climb roughly halfway through the race, and I had nothing in the tank to respond with. Coming through the stadium and into the last lap, Lex Treinen and I desperately tried to close the gap, but it just wasn’t happening. In the end, my friend Gordon Vermeer put on a big surge in the final meters, and took teammate Lex Treinen with him. I had to settle for fourth. At the end of the day, I’m happy with how I skied and hungry for more in the races to come. Podium on the last day. 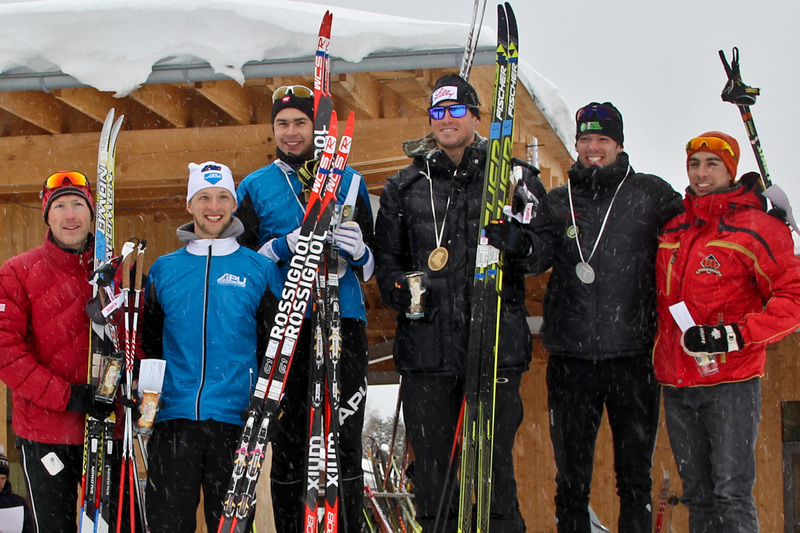 Kris skied really well all week, and it was awesome to see Gordon Vermeer take his first ever Supertour podium. I was happy with the fouth place. 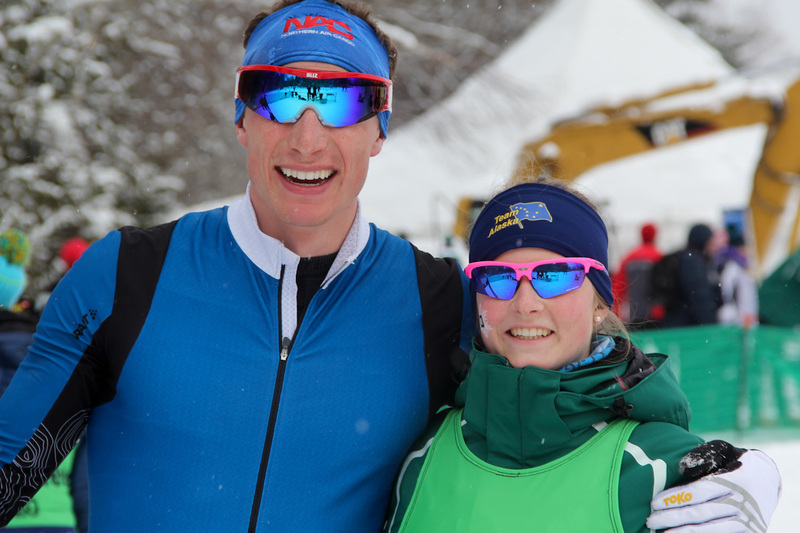 Thanks to Craftsbury for hosting a great set of races, and to our APU wax tech Mike Matteson for providing good skis all week. It was an awesome series of races, and I’m looking forward to being back in the future. Next on the schedule is Europa Cup racing, starting next weekend in Campra, Switzerland. If you haven’t already, check out our team fundraising page here: https://www.grouprev.com/APUNSC2015 Every bit helps. Check back here for an update soon!